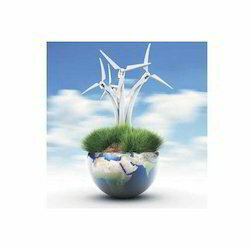 GCI has reach experience in carrying out the EIA studies and for the all kind of Enviro- Legal Services. GCI team is fully equipped with versatile people comprising of Chemical Engineers, Environment Engineers, Mechanical Engineers, Industrial Hygienists, Socio Economic Expert, Chemists and Microbiologists. We keep good relations with the concerned government departments to get fast clearance of Pollution and Local Municipality. The team adheres to the strict time frame. We have in-depth understanding of EIA notification, 2006 amended to date for Category A Projects. We have working experience & understating of EAC/SEAC & MoEF/SEIAA of different States. We also provide inbound and outbound customs clearance, pre-shipment documentation input, insurance coverage and surveys to ensure the smooth movement of your consignments. i) Environmental Clearance from the Ministry of Environment and Forest. Six Monthly compliance reports. ii) Consent to establish and Consent to operate from Maharashtra Pollution Control Board. iii) Turnkey Projects – Design of Effluent Treatment plants, Sewage treatment Plants etc. Successful compliance with central, state and local environmental regulations and documentation requirements is a process that requires navigation with expert understanding, strategic approaches and creative solutions. This service gives better understanding of use of Renewable and non-renewable resources, which will help us for sustainable development. The Delta PIVO is a biological product that helps the regular shrimp molting by induce the molting processand keep the animal without stress condition and improve the oxygen consumption. - Field study, primary and secondary data collection. - Preparation of environmental impact assessment report. - Securing clearances from competent authorities. The proper environement clearance is a vital task in obtaining a mining lease from the government . For getting the Environment clearance from Department of environment and forest on tech-know how and knowledge of rules and laws are essential factors. We deal in the field of these two parameter for getting a smooth environment clearance from Department of Environment and Forest , New-Delhi. Counted maid one of the eminent market enterprises, we are offering to our clients highly acclaimed Environmental Clearance Service. While delivering these services, we are making use of best in class techniques and tackles to maintain their reliability. Also, these are rendered by some of the most proficient and intelligent personnel of our crew.